Did you know there is a lot of science behind making candy? How about that “Red Hots” candies get their heat from a chemical called capsaicin—the same molecule that gives peppers their kick? And when you crunch on Wintergreen Lifesavers, they spark because you are making light with friction similar to the electricity in lightning: You might say you are making a miniature lightning storm in your mouth! Learn about these cool chemical reactions and much more as you become a Science of Fun Stuff Expert on candy! 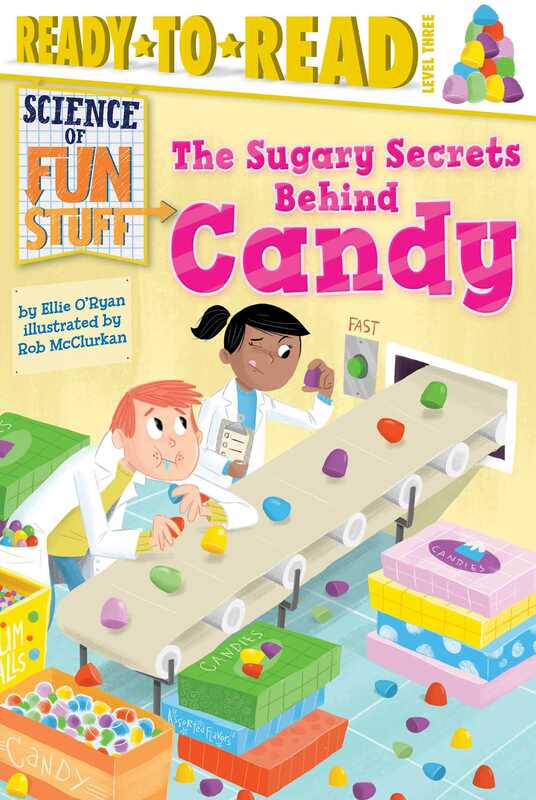 The Sugary Secrets Behind Candy by Ellie O' Ryan is a jewel for young readers. Who doesn't like candy? When I first leafed through this book, I was disappointed there weren't any experiments, references, or lists of websites. Instead it's a nonfiction reader perfect for a rainy afternoon. That said, The Sugary Secrets Behind Candy sparks ideas for hands–on explorations. Chapter 1 discusses how taste buds detect sweets. Kids can map their tongues. A picture of a microscope on page 12 might inspire children to inspect candies with a hand lens to compare differences in crystal sizes among candies. The book discusses how to control the size of crystals through cooling on pages 16 and 17. Kids can use this information to make their own rock candy or use isomalt so popular on cooking shows. The book explains the underlying processes. I learned something about citric acid in Chapter 3. Did you know that Aspergillus produce citric acid? There are interesting international candies, a little history, and an odd bit—a Hershey time line. The Sugary Secrets Behind Candy is right on target. O'Ryan has successfully sugar–coated some sound science. I just know that when kids read about wintergreen candies making a spark or how Mentos make an explosion in soda, they will want to try it for themselves.